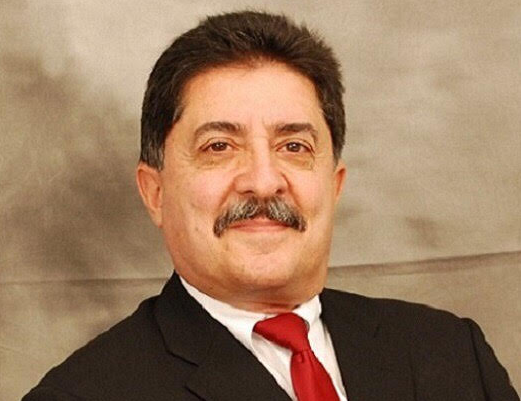 Dr. Reza Eftekari teaches Cloud Computing (ENTS 649B) and Fundamentals of IT Systems Security (ENTS 629C) courses in the Masters in Telecommunications Program at University of Maryland. TSAN presents an exclusive take on Dr. Eftekari's perspective on pursuing a career in Cloud Computing and its future industry trends. Dr. Eftekari is a PhD in Electrical Engineering from Stanford University. TSAN: You have been teaching Cloud Computing for the past 5 years. Where do you think is this industry heading with the recent trends in using cloud computing? Dr. Eftekari: Basically, Cloud is being used for outsourcing and large cost savings. Cloud is becoming a big enabler of IOT for storage and processing power. More and more Hybrid Clouds are being used. Cloud security remains a big challenge but it is workable. TSAN: How should a student select his area of specialization within telecommunications? Is it better to concentrate on one particular domain, or instead diversify by taking courses in different areas? Dr. Eftekari: It all depends on your passion! Follow your instinct! Cloud computing is big and so is the IOT and SDN. Classical mobile communications also stays important. Probably the most sought after area will be Networking Engineers with Security expertise. But again, follow you interest. Opportunities are everywhere so why follow an area that you may not be as interested? TSAN: What skills do students gain from your cloud computing course and which additional skills do they need to develop to leverage things taught in class and extend it as a professional career opportunity? Dr. Eftekari: Basics of cloud computing, including the differences with high performance computing. Students will learn how to develop Amazon Clouds and will also have an opportunity to develop a Private cloud using Openstack. TSAN: There are students who could not take the cloud computing course but would like to explore it as a prospective career path. What do your recommend to such students? Dr. Eftekari: Amazon has numerous tutorials on cloud computing and offer an online development lab as well. Well developed and easy to understand. Also, talk to your ENTS academic advisor. Perhaps we can offer this course during the Spring Semester too. TSAN: What do you think about the recent spurt of online and offline certification examinations? How beneficial is such an investment of time and money for the students? Dr. Eftekari: I think some are good but buyer be aware! Many charge a lot but I really do not understand what value they provide. Focus on Amazon Certifications and lower cost Certifications for OpenStack. These will look great on your resume! TSAN: Can simply acquiring a popular certification such as AWS by taking an online training course make students industry ready? How does an academic course in cloud computing help with this regards? Dr. Eftekari: Amazon certification reflects a good knowledge of Cloud Computing so it is looked as positively by industry. My course will help a lot with Amazon certifications and give the students the knowledge they need to start their careers (if they choose) in cloud computing. TSAN: What Technologies/tools within the broad scope of Cloud computing excite you the most? Dr. Eftekari: DevOps is big in cloud and I know many of my students like to learn that area more and more. However, I do not have the time to cover that in my course. For me, Cloud Security is a challenging area and will grow in future. TSAN: If you had a chance to invest your future in some other domain apart from Cloud Computing, which domain would it be? Dr. Eftekari: I always tell my students that if I was younger, I would invest my time on Network Security! What use would networking (including cloud) provide if they are not secure? Cyber security is important and challenging. I also teach a basic network security course but unfortunately I do not get as many students as I get for the Cloud. We have a huge shortage of security network engineers in US!